10th Annual Oilsands Banquet honouring the heroes of the 2016 wildfire. 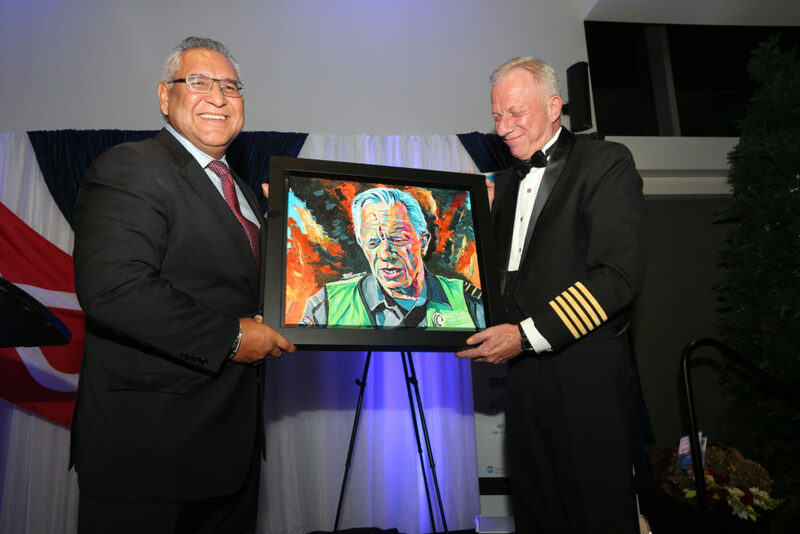 This past week, the Wood Buffalo community and Corporate industry leaders gathered to honour the heroes of the 2016 wildfire at the 10th Annual Oilsands Banquet. The Tuccaro Group was a proud major sponsor of this important event. Attendees enjoyed a delicious meal and entertainment. The evening included many stories of the bravery, courage and dedication of First Responders and the community at large. Rex Murphy, Canadian commentator and author was the keynote speaker for the evening. Murphy’s message was of the strength and resiliency of our community as result of the wildfires. The first responders of Fort McMurray are an example of the comradery that we all share. The wildfire, while devastating, has brought us all together determined to rebuild, move on and come back even stronger than before.